One of the basic needs of each dog is to have his own corner in the house where he can sleep or just get some rest. Even if he sometimes prefers to spend the night in our bed, it’s necessary to mark his own space – a shelter where he can hide anytime of the day. This is very important aspect, when deciding on where to place our dog’s bed. Purchasing the right dog bed can be quite a challenge, although not everyone is aware of it. A responsible dog owner should try to tailor the product to the specific requirements of the dog. What’s more, there are a lot of factors that we have to take into consideration. On the dog accessories market, dog beds is one of the largest departments. If we want to choose the one suitable particularly for our pet, among dozens of available types, we need to know what should we pay attention to. When we’re willing to buy the dog bed in appropriate shape, we should observe our dog and choose the one that will be the best for his most common sleeping position. There are three main dog bed styles such as: rectangular, oval or round. These beds are the most popular ones, suitable for pets that like to stretch out during sleep. They can be in the form of a dog mat, blanket, mattress, or in a classic version with raised sides and a soft stuffing inside. Suitable for dogs that tend to sleep curled up. They are usually available in the form of pillow or “nest” with higher sides, which prevents the pet from slipping off. When we already know what shape should we look for, unquestionably the most important thing is to choose the right size of the dog bed. In this case, we need to measure the exact height and length of our pooch, and then add a minimum of 10-20 cm on each side. In this way, we can calculate the size of the bed that will provide comfort for our best friend. He will be able to freely stretch himself out during the nap, and he will have enough room to bring all his beloved toys in. If we have a puppy at home, especially a large breed, we should forget about the idea that the same dog bed will be good for him when he grows up. Above all, it might not last, because of the sharp puppy teeth which like to bite into everything. Besides, we should not buy a large dog bed for our small pup, because it will not provide him a sense of security, which he can only find in the coziness of the small “nest”. The same rule applies to adult dogs. Is it easy to keep it clean? Another important question to ask ourselves in order to make the right choice is whether it’s easy to keep the item clean. Especially for long haired dogs, the ability to remove the cover of the dog bed is a huge plus. We can wash and dry this type of pet accessories very quickly. The regular cleaning helps in maintaining good hygiene and prevents the growth of microorganisms. 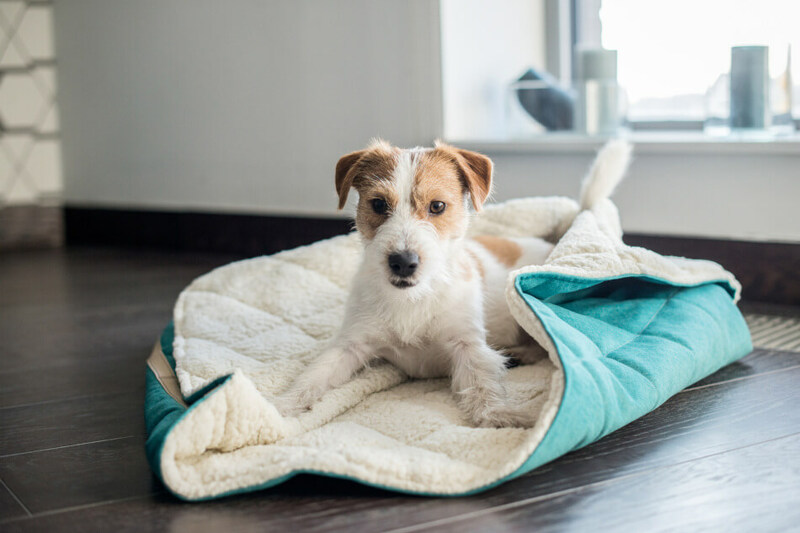 The URBAN dog bed is a good example of the product in which each element of the cover is finished with zipper. 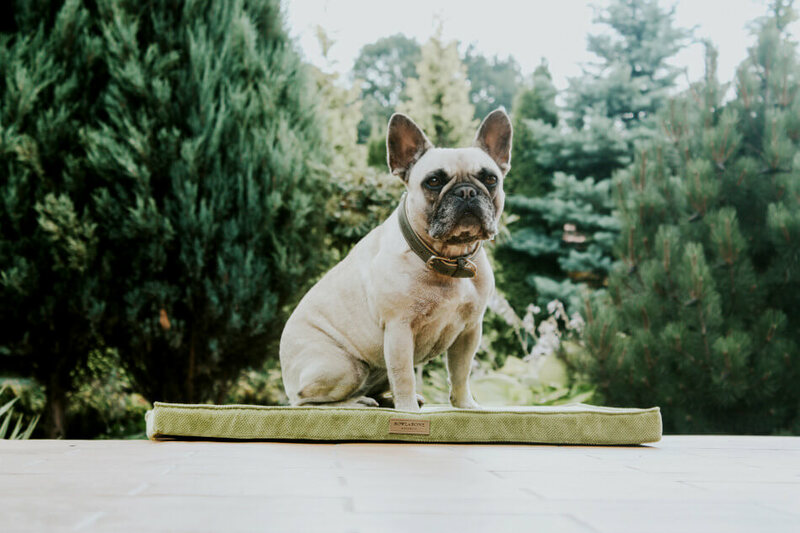 If we choose a dog bed made of high quality materials, we can be sure that it will be durable and retain its shape or color even after repeated washing. It’s also a good idea to pay attention to type of stuffing inside of the dog bed that we want to buy. This is of the highest importance, especially when our pet is older or has problems with joints, and when we have a dog allergic to various substances. Currently, there are many options on the market, from elastic foam with function of the body shape memory, through silicone wadding or balls, to special anti-allergic stuffing, the same as those used in the production of furniture for people. Just like in the case of bowls or clothes for dogs, in the dog beds sector, there are still new solutions developing. Some of them may seem funny, but there are also those that might have really practical applications. A good example can be a dog beds with temperature controller. They are also useful for outside dogs. We can purchase them in two versions: cooling — that prevent overheating of the body, or heating — for all the chilly dogs. 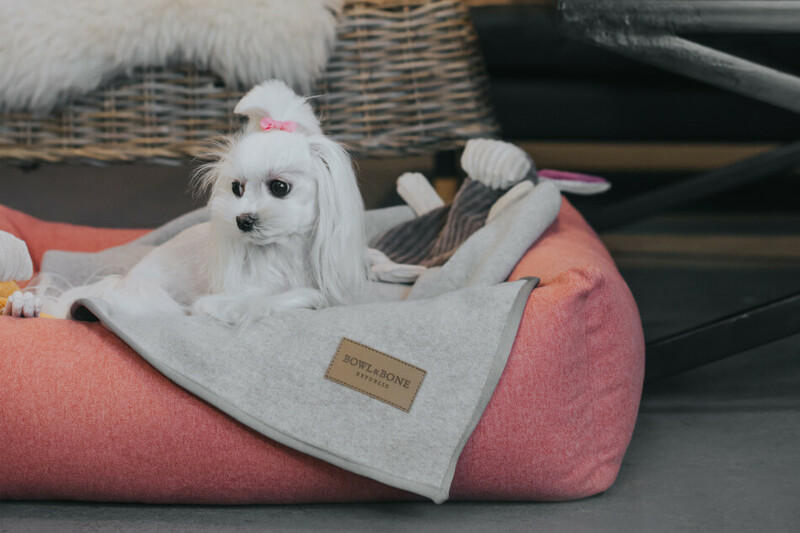 In stores we can also find the raised dog beds (which provide better air circulation from the bottom), made of natural materials (such as wicker, wood) or secondary raw materials (fibers obtained from recycled plastic bottles), and dog beds imitating our home furniture (e.g. a mini sofa) or having different funny shapes like a shoe, a car, a suitcase or a hammock. There are hundreds of possibilities to choose from. An interesting solution can also be a dog sleeping bag, such as the DREAMY dog sleeping bag. It’s particularly useful for hairless dog breeds or for puppies that love to dig tunnels, treating their bed as a safe shelter to hide and observe the surroundings. Another separate topic is traveling dog beds, that are available in form of a blanket or a dog mat, which can be easily folded or rolled. They take up very little space, and they’re lightweight, so we can easily take them on each trip. They are usually equipped with sewn handle for easy transportation. 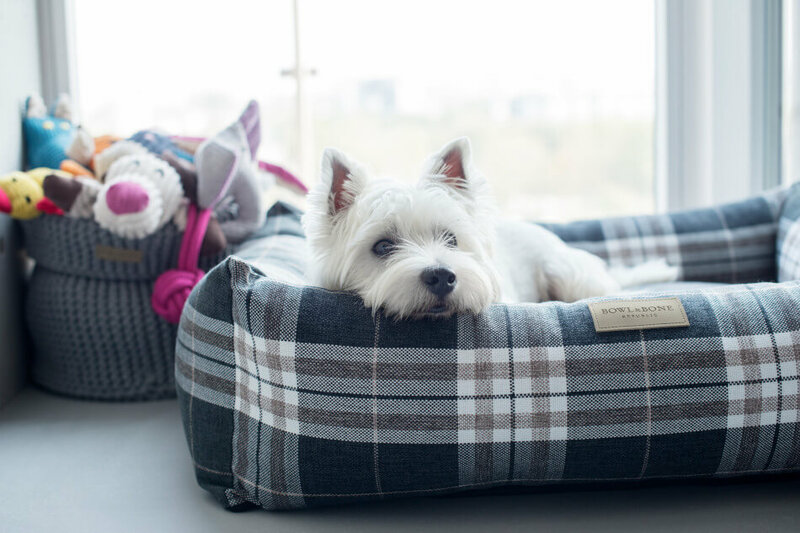 We should take some time when looking for a suitable bed for our pooch, after all it’s not just a short-term purchase. It’s the item that is meant to provide our dog with comfort, sense of security, blissful relaxation, and complement our house interior design. The best idea is to look for the dog bed that will combine the two: benefits for our pet with the elegance and style matching our interior.